Camp Adventure - Unique Nature Experiences: Experience Denmark's largest climbing park with 10 climbing courses. Camp Adventure is unique nature experiences in a new format - in the middle of Zealand's most beautiful scenery. With nature, architecture and experience in front, we welcome all age groups to a sensational experience in the forest. Whatever the season. 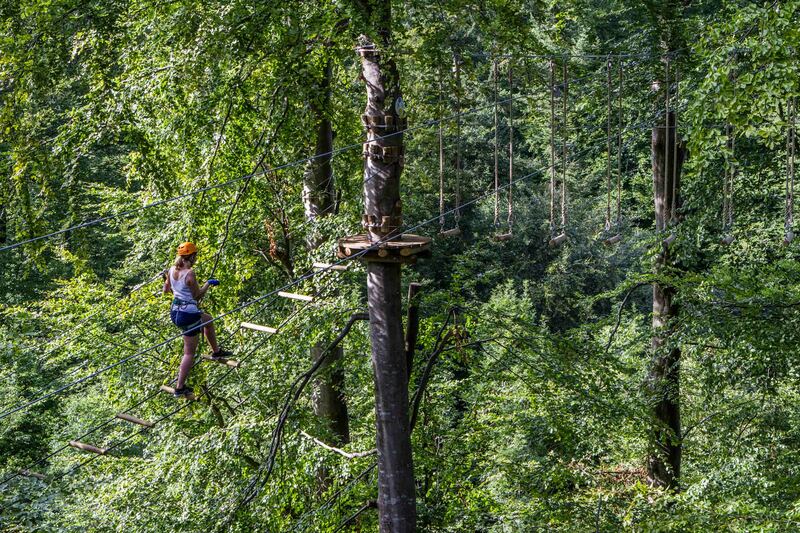 Camp Adventures climbing park is Denmark's largest and spans an area of ​​7,5 hectares. The 10 climbing courses move in and out and across the beech wood. The diversity of the courses embraces all kinds of guests - both children, those afraid of heights and those who really need a challenge. Camp Adventure welcomes you in the unique 45 meters tall forest tower. The forest tower is built in Gisselfeld Klosters forests close to Zealand's highest point. The building is designed by EFFEKT Arkitekter and completes an ambition to create an aesthetically beautiful building work and a unique nature experience. Built with respect and consideration for nature. Camp Adventure Climbing Park is the largest in Denmark spreading over an area of 7,5 hectares. The 10 climbing courses move in and out and across the beech wood. The diversity of the courses embraces all kinds of guests - children, those afraid of heights and those who really need a challenge. Camp Adventure's 10 climbing courses are all different and vary in height and difficulty. You move from tree to tree via different obstacles or zip lines. At Camp Adventure you can try the two longest zip lines in Denmark. Camp Adventure uses the Clic-it security system. 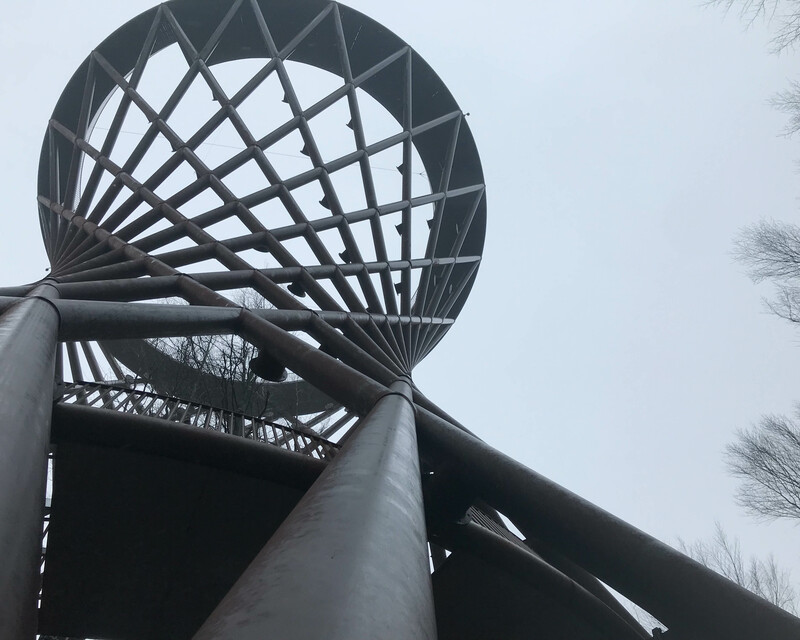 A magnetic system that ensures that climbers are secured from the beginning of a climbing course till both feet are safely placed on the forest floor at the end of the course. Maximum weight 120 kg. Camp Adventures' unique forest tower was designed by EFFEKT architects, taking into account the beautiful South Zealand nature, which forms the framework for the experience. 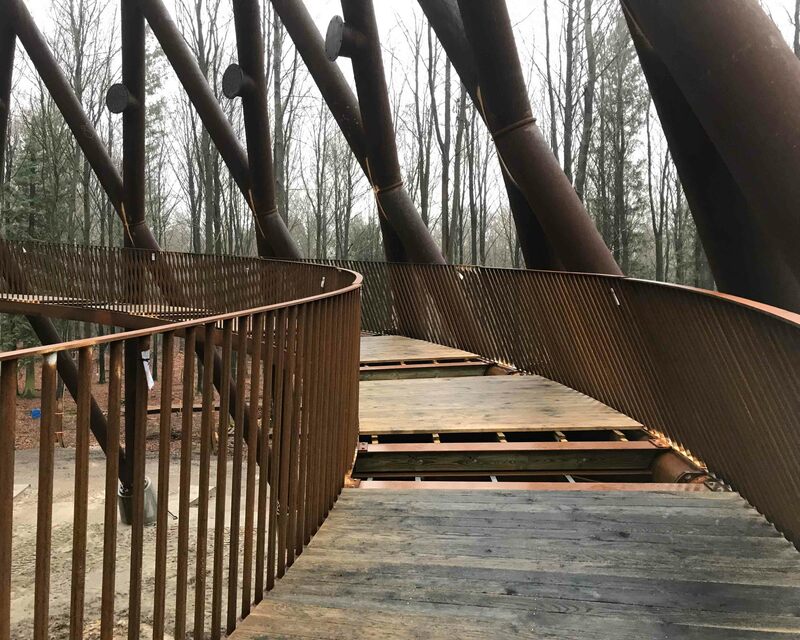 Experience the diversity of nature when the tour goes up in the Forest Tower along an 650 meter twisted ramp that opens the forest from the bottom to the wooden crowns and further up to a spectacular view of South Zealand. The forest tower is open every day from 10 am - 18 pm (Thursday at 10 am - 20 pm). The price for experiencing the Forest Tower is DKK 125, - per person if you book online the day before. The experience lasts approx. 2 hours.